THE HAGUE — Dutch anti-immigration populists stunned Prime Minister Mark Rutte to become the joint biggest party in the senate on Thursday following elections that took place just days after a suspected terror attack. 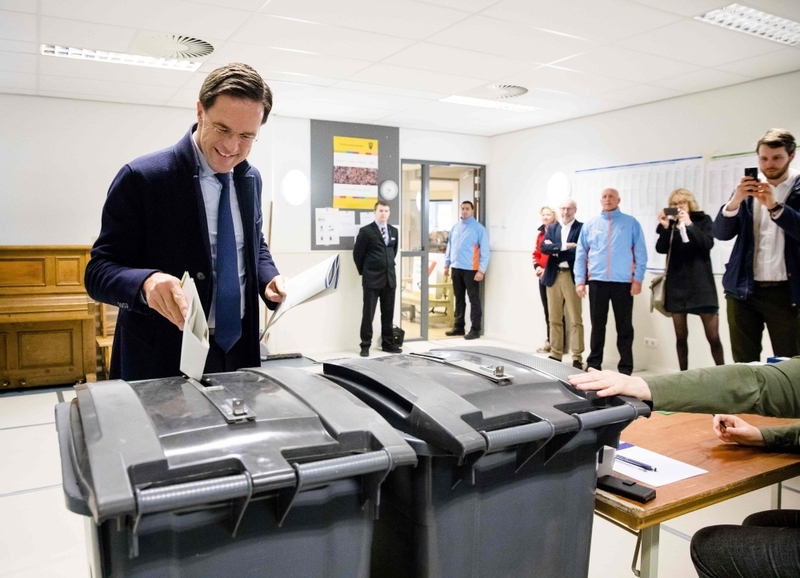 Thierry Baudet’s Forum for Democracy party, which also backs a “Nexit” from the European Union, came from nowhere to win most votes in the provincial elections, with 93 percent of ballots counted, the NOS broadcaster said. Self-proclaimed intellectual Baudet, 36, who has a history of controversial comments about women and immigration and backs closer relations with Russia, accused Rutte of “arrogance and stupidity” and of ignoring voters. “We stand here in the rubble of what was once the most beautiful civilization,” he told a cheering crowd at a victory celebration late Wednesday in a speech laced with classical references. The party, which only launched two years ago, will now be the largest in the upper house of parliament along with Rutte’s with 12 seats each, the Dutch news agency ANP said. Dutch newspapers reacted with astonishment to the results. Algemeen Dagblad said “Baudet grabs mega-win” while De Telegraaf said simply: “Landslide”. Rutte, an influential figure in Europe’s negotiations with Britain over its own departure from the EU, will now have to rely on other parties to get laws through the senate after his ruling coalition took a battering. Baudet also made references to the shooting on a tram in the city of Utrecht on Monday in which three people died. A Turkish-born man has been arrested over the attack. The populist faced criticism after failing to stop campaigning following the shooting. 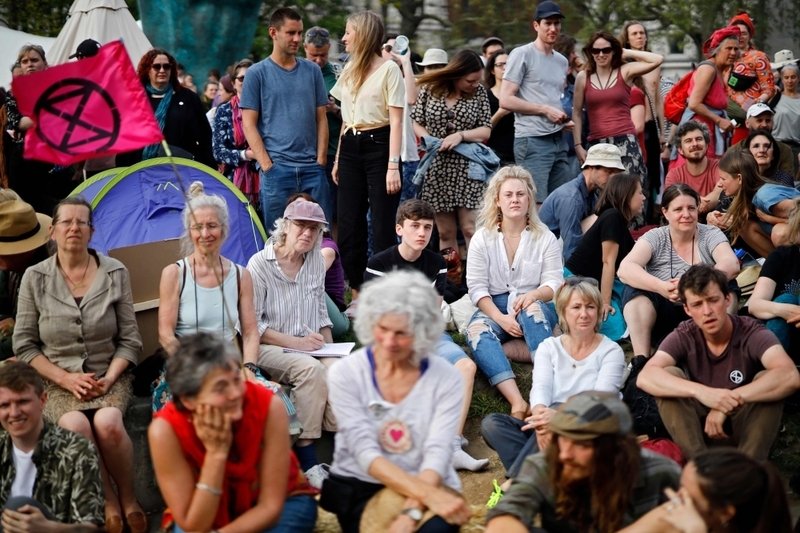 Baudet has previously called for the Netherlands to immediately leave the EU but has recently softened his rhetoric as the chaos over Britain’s departure from the bloc escalates. The former academic is known for controversial statements such as “women in general excel less in jobs and have less ambition”. He has also called for the Netherlands — at odds with Moscow over the 2014 shooting down of a flight from Amsterdam over Kuala Lumpur and a Russian spy scandal at the world chemical weapons watchdog in The Hague — to repair ties with Vladimir Putin’s Russia. The coalition led by Rutte’s center-right VVD party — set up after a 2017 general election to keep far-right leader Geert Wilders out of power after he too won a surge in votes — is set to collapse from 38 to 31 seats in the 75-seat senate. Rutte will now be left to rely on opposition parties to pass legislation, including the leftist ecological party GroenLinks (Green Left) party led by Jesse Klaver, which had a good night and is set to double its seats from four to eight. The final shape of the senate will be determined in May by the 570 representatives elected to the country’s 12 provinces in Wednesday’s election. Baudet meanwhile seemed to have taken votes from Wilders, whose anti-Islam Freedom Party is set to win five seats, down from nine, amid signs that his fierce rhetoric is alienating voters.